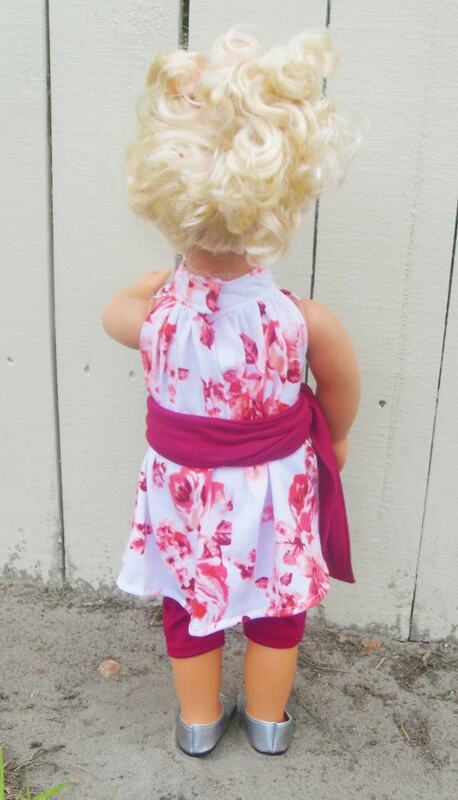 Introducing The Emma, a dolls high neck dress pattern. 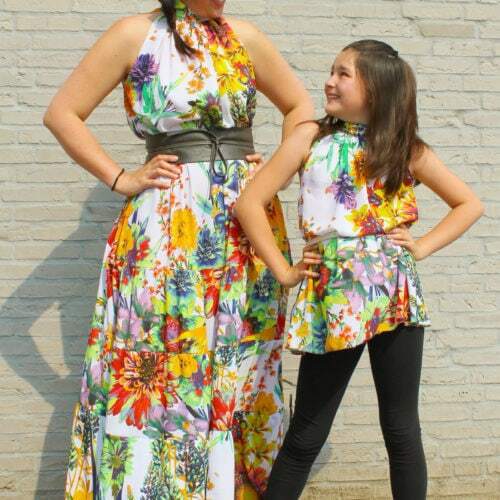 This gorgeous dress & top has a fitted neckband with an extremely loose, flared top. It has a high neck both back and front with a small straight keyhole at the back. 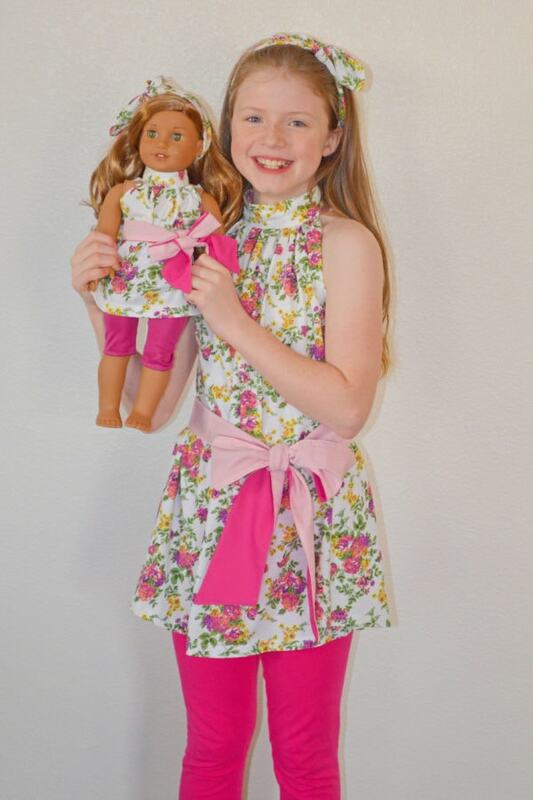 There are 5 length options: top, tunic, knee (tunic + 1 tier of ruffles), tea (tunic + 2 tiers) and maxi (tunic + 3 tiers). Plus an optional sash so it can be worn either it nipped in at the waist, or loose and flowing. You can also choose to have it lined or unlined. 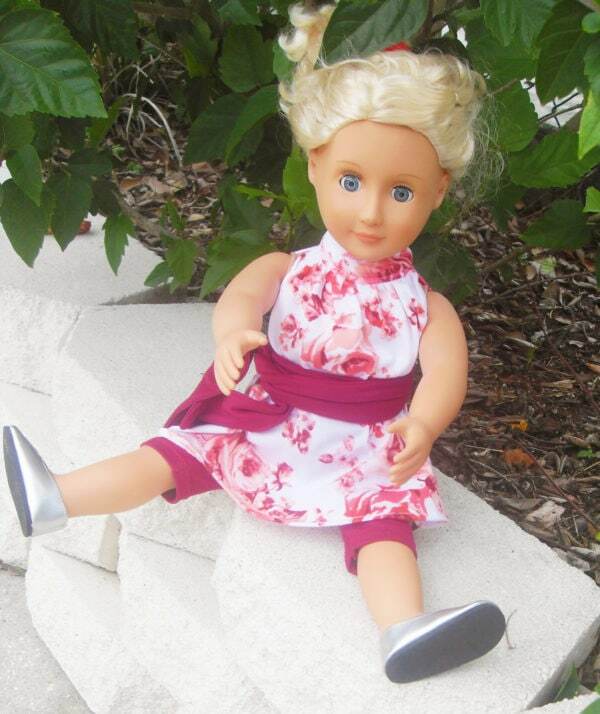 Introducing The Emma, a dolls high neck dress pattern. 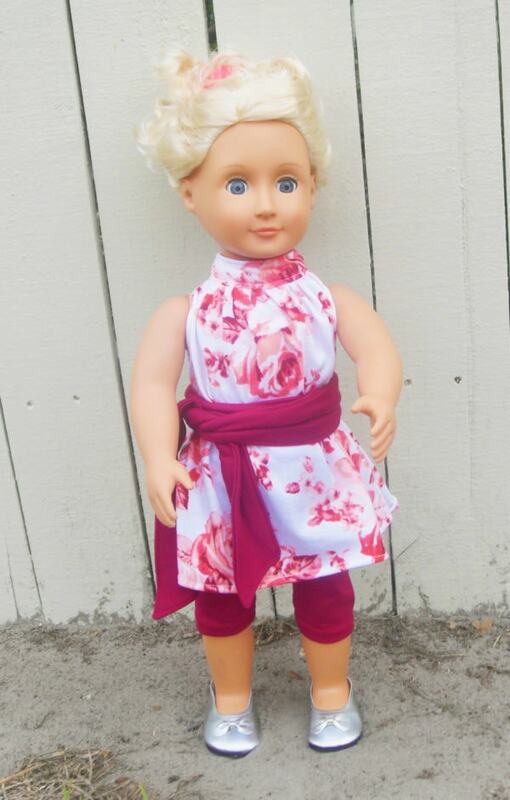 This gorgeous dress & top has a fitted neckband with an extremely loose, flared top. It has a high neck both back and front with a small straight keyhole at the back. For the tiers, each tier is gathered and slightly wider than the one before. 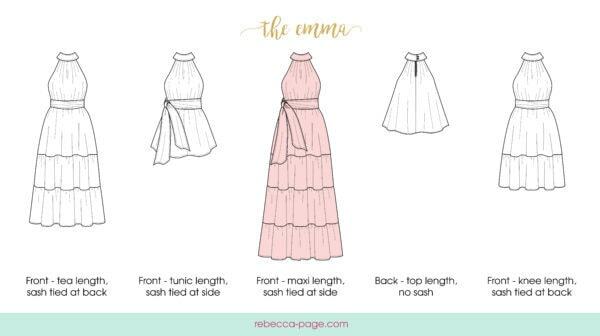 By the time you get to the maxi length, the dress is super full. It’s absolutely stunning and feels phenomenal on. 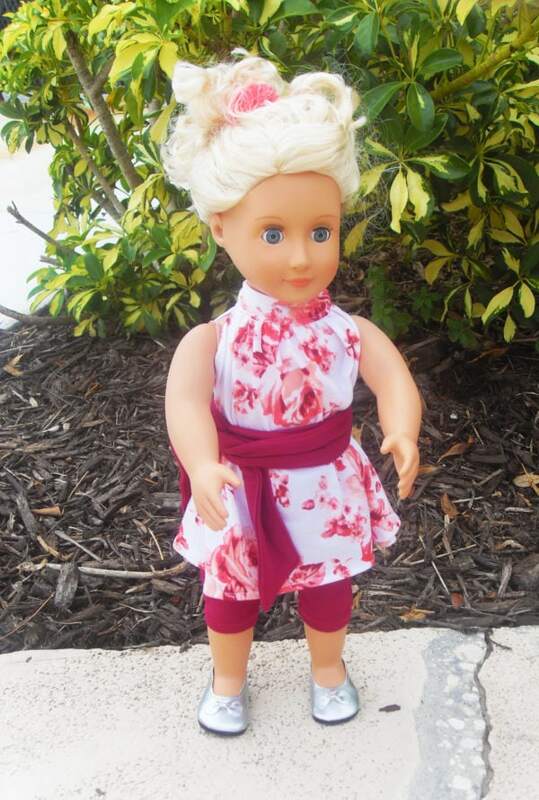 This is the dolls version but it’s also available as a matching ladies and childs patterns so you can do matching “Mommy and Me” sets! Get all versions as a bundle here. 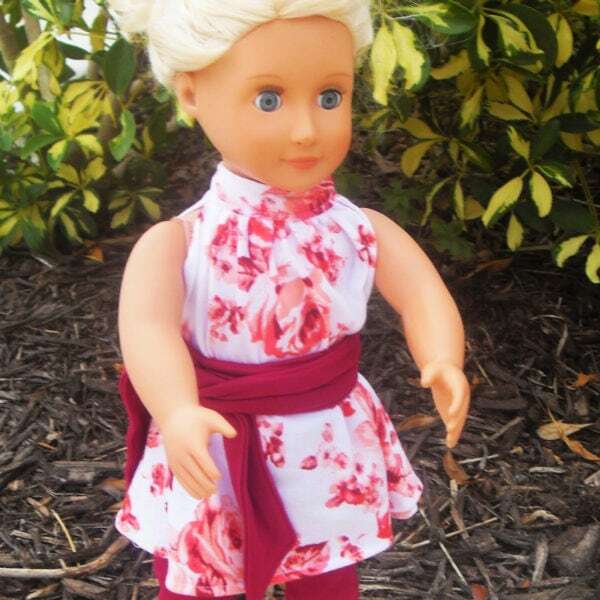 An optional sash so you can either wear it nipped in at the waist, or loose and flowing. You can also choose to have it lined or unlined. 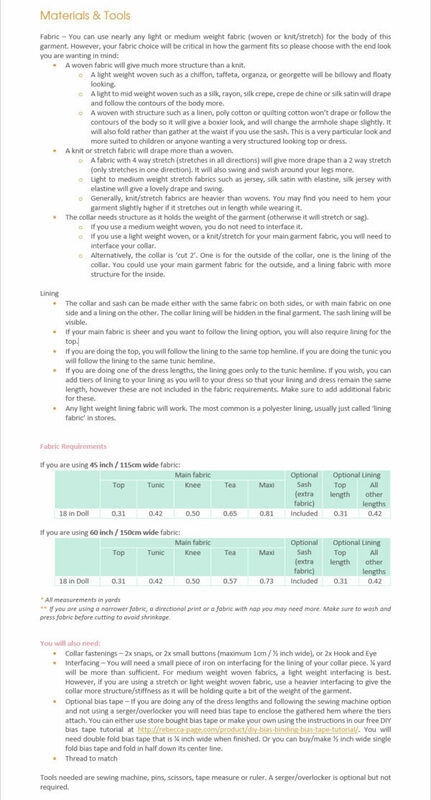 Fabrics – Suitable for both woven and knit/stretch fabrics. Serger/overlocker optional but NOT required. Definitely buy it! 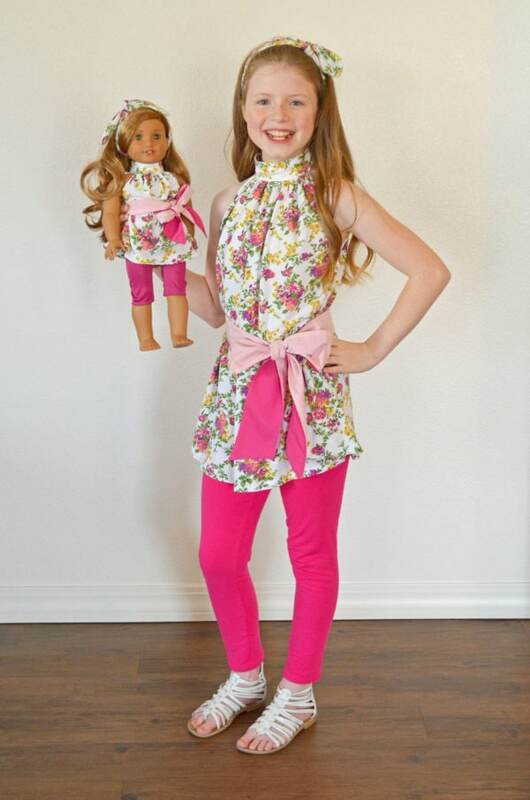 My daughter was so excited about her tunics, and loved having a matching one for her doll too. Quick and beautiful, flattering on everyone. 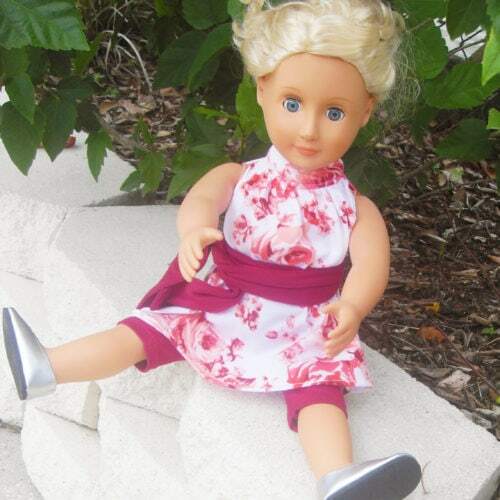 Tag your photos with #emmatopanddress on Instagram.